The best Sage 100 mobile sales solution for simple but effective route sales needs. 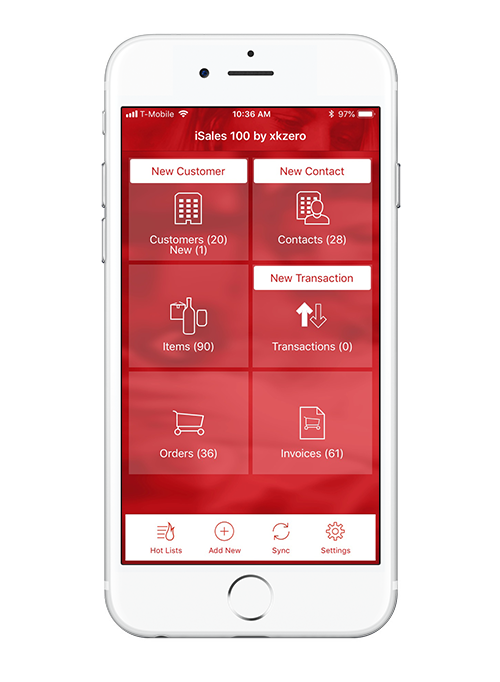 Pre-sales and route sales are a snap with iSales 100 by xkzero. Your sales team will be equipped to quickly and easily service many customers throughout the day. Make sales or create backorders for your customers favorite vintage right on the spot, eliminate duplicate work and save yourself and your customer all kinds of time. Even record Lot or Serial Number tracked items. Best of all, by the time you've entered the sale or taken the new order, all the details can already be back in Sage 100. Try iSales 100 now for free! Basic pre-sales and route sales productivity. Easy as pie. The most powerful, flexible and easy to use mobile salesperson app for small and mid-sized distributors and manufacturers is engineered exclusively for Sage 100. It’s also designed exclusively to grow revenue and profits for you. Ready to unleash the full potential of your sales team?